Atersadenn Al Lanv diwar-benn manifestadeg ar 15/12 e Montroulez | 44=BREIZH - POUR LA RÉUNIFICATION DE LA BRETAGNE ! 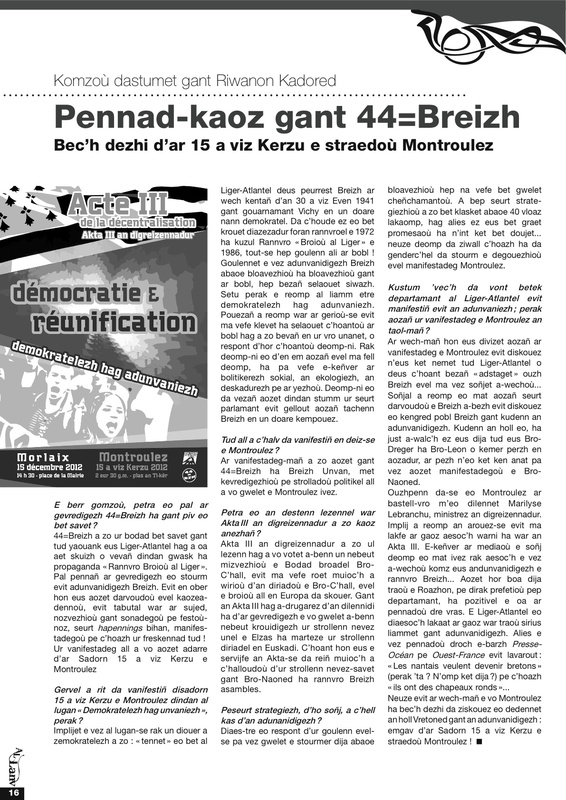 Un atersadenn embannet er gelaouenn Al Lanv (n°128) ar miz-mañ, o lakaat ar gaoz war 44=BREIZH ha manifestadeg ar 15 a viz Kerzu e Montroulez ! This entry was posted on jeudi 6 décembre 2012 at 18:30 and is filed under 44breizh, 44bzh, Keleier/Actualités, Réunification. You can follow any responses to this entry through the RSS 2.0 feed. You can leave a response, or trackback from your own site.